Known for his roles in big-name movies like Armageddon, The Big Lebowski, and Resevoir Dogs, just to name a few, actor Steve Buscemi has long been a heavy-hitter in Hollywood. 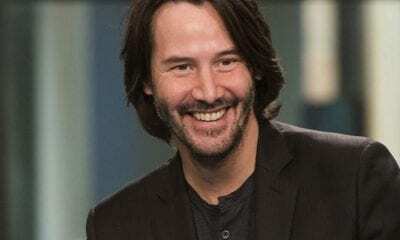 But before he was putting out big movies, he was putting out fires as a member of the New York City Fire Department back in the 1980s. 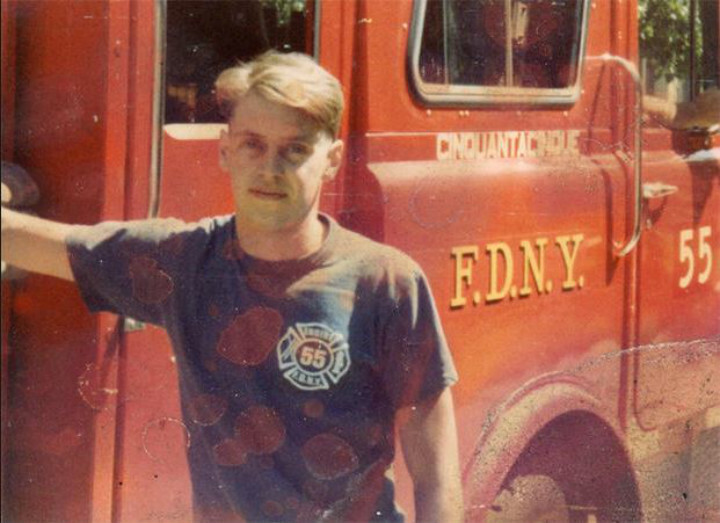 After September 11th, 2001, Buscemi went back to his Brooklyn, New York, roots the very next day and returned to his former work as a fire fighter. The actor was among the first responders in Manhattan. He worked 12-hour shifts digging through rubble. You can definitely add “hero” to his already impressive resume. 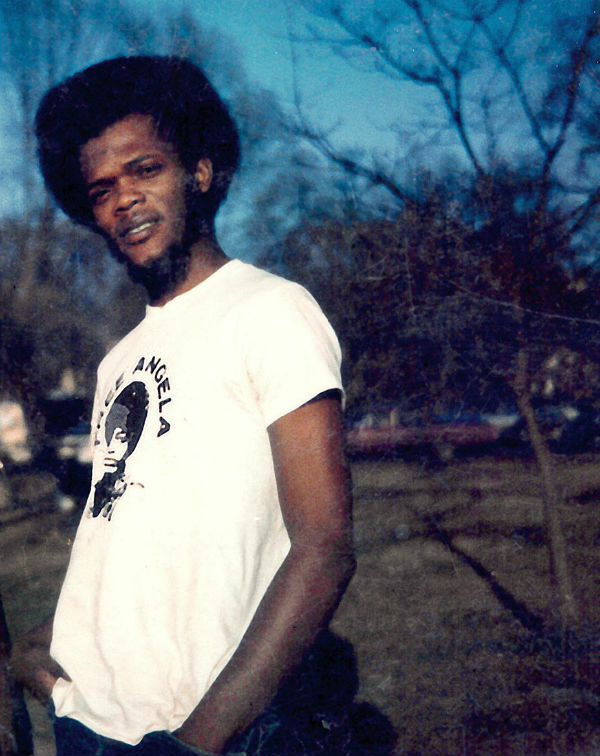 In 1968, future Django Unchained Samuel L. Jackson was a college student that, like many students, was trying to find his place. When he was a sophomore at Morehouse College in Atlanta, his life path changed. He was about to experience a tragic moment in history in a very personal way. When Jackson first heard requests for volunteers to usher guests at Martin Luther King Jr.’s funeral in 1968, he volunteered his help. He later described his day as an usher at the funeral as “pretty much a blur.” But the experience influenced him to get into political activism. His activism and, in time, his fame, meant that later in his life he would befriend the same inspiring people he once helped usher to their seats. 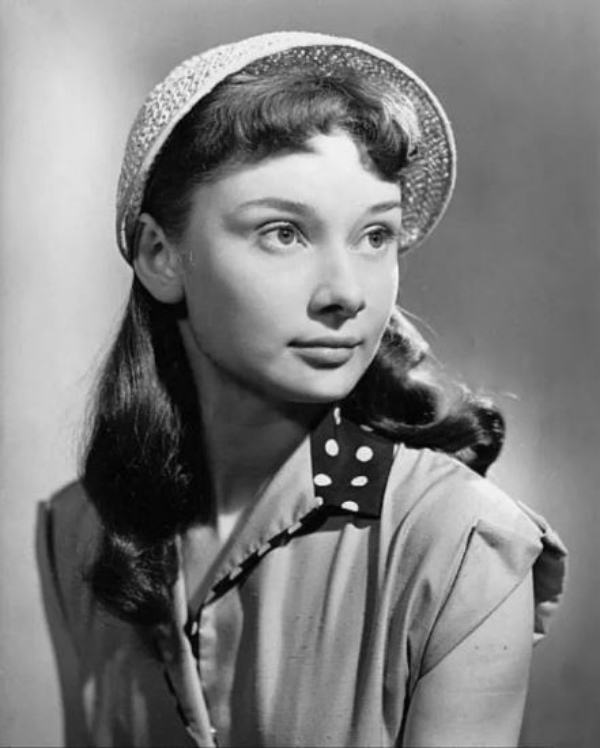 Before Audrey Hepburn became a household name, she was a young activist. Born in Britain and raised in Holland, Hepburn experienced World War II first hand, and acted in the Dutch Resistance movement during her early days. As a young dancer, Hepburn donated much of the money she would earn from recitals to the Resistance movement, but her activism didn’t stop there. Before she took on iconic Hollywood roles, Hepburn took on the role of courier for the Dutch Resistance movement. In this job, the future Breakfast at Tiffany’s star would deliver papers from one member of the Resistance to the other. These roles were commonly held by children, who were less likely to be recognized and searched during the war. Now Hepburn remains one of the most recognizable faces to ever grace Hollywood. Pre-Working Girl and Alien fame, future-actress Sigourney Weaver was just another face in the crowd. Specifically, she was an overjoyed face in the crowded audience watching the Beatles in concert at the Hollywood Bowl in 1964. She later recalled the concert, which she attended at 14 years old, and the girls around her crying as The Beatles played. 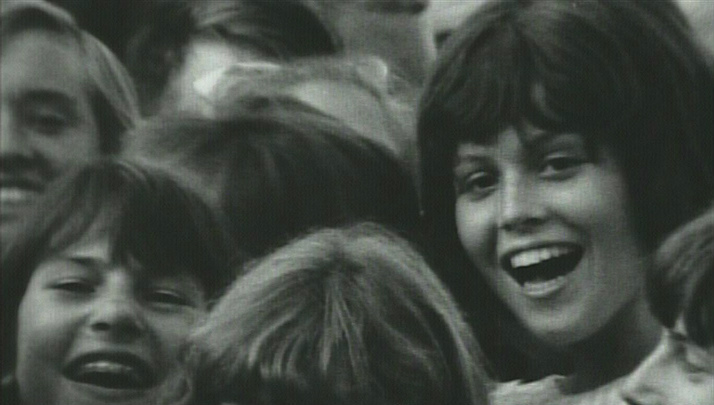 In case anyone didn’t believe her, she was actually captured on camera at the concert (above) in the documentary The Beatles: Eight Days A Week – The Touring Years. Seems like she was already getting the attention of the camera before she hit the big screen for real. When basketball player Dennis Rodman and North Korean Dictator Kim Jong-un formed probably the most surprising friendship of all time, it put Rodman on the front page of newspapers and gave him an important, if not odd, role in diplomatic relations. The former basketball star is one of the few foreigners allowed to enter the notoriously secluded nation. Over his friendship with Kim Jong-un, Rodman has been credited for negotiating the release of an American prisoner and breaking the news that the Kim family had a baby girl. Rodman even offered his services to and flew to Singapore during the nuclear summit between the U.S. and North Korea. 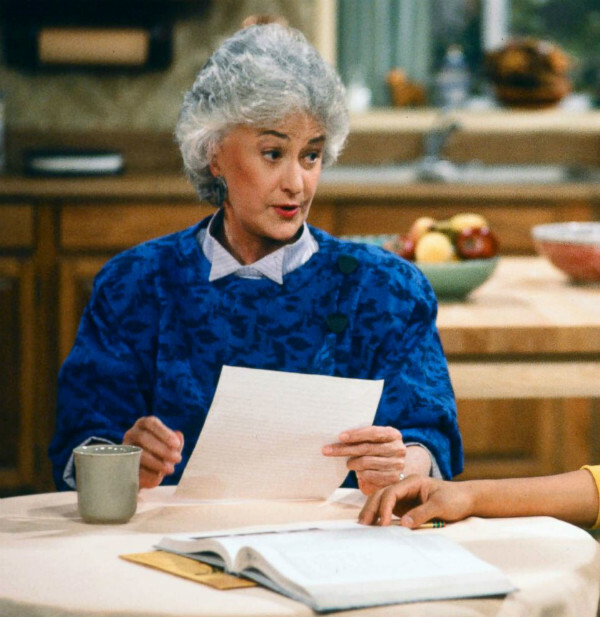 From receiving the honor of a Tony Award to receiving honors during World War II, what couldn’t actress Bea Arthur do? The Broadway actress turned Golden Girl witnessed this moment in history first-hand. In fact, she made some history herself along the way. Arthur was one of the first women to join the U.S. Marines during World War II. When the U.S. entered the war, they originally only accepted men. But a year later, they began recruiting women into their ranks, and Arthur signed on. At the time, women were not allowed in combat roles. Instead, Arthur worked as a truck driver and typist. Arthur never spoke about her time in the Marines publicly. 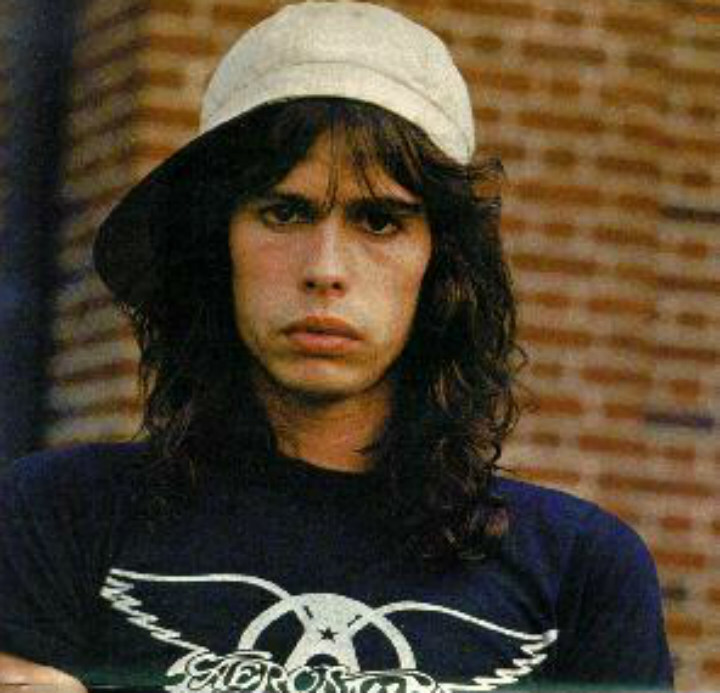 Lead singer of Aerosmith Steven Tyler is not really known for blending in with the crowd. But before he hit the big time, Tyler was part of a pretty iconic crowd, as a member of the audience during the Woodstock music festival. And the experience changed his life. In Tyler’s memoir “Does the Noise in My Head Bother You? : A Rock ‘n’ Roll Memoir,” the singer recalls attending Woodstock. He went along with new friends Joe Perry (the future lead guitar of Aerosmith) and Tom Hamilton (the future bassist of Aerosmith) at the end of their first summer as friends. Within the next year, they formed a band and the rest is rock-legend-history. Clint Eastwood was the famed director behind films like American Sniper and Letters From Iwo Jima, but he may have gotten inspiration from some of his own life experiences. Eastwood was drafted into the Army for the Korean War, and it may have actually helped launch the rest of his career. During the Korean War, Eastwood worked as a swimming instructor at Fort Ord in California. It was there that Eastwood met his friend Chuck Hill, who connected him with contacts he had in Hollywood. 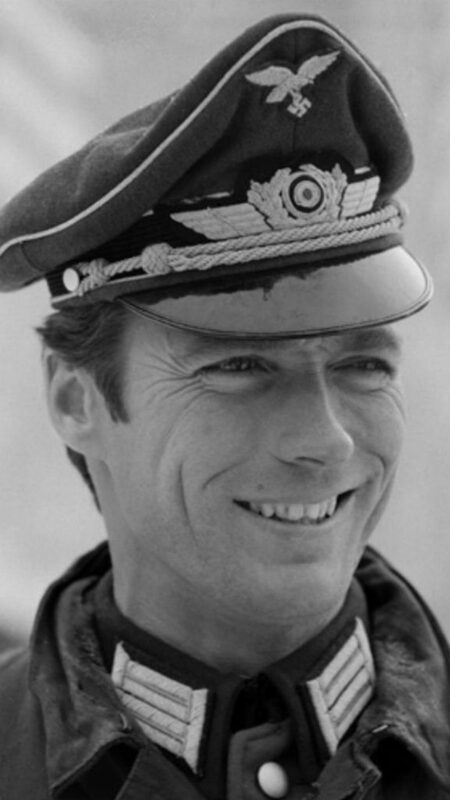 In addition to swim instruction, Eastwood worked nights and weekends as a bouncer at a non-commissioned officer club. Judging by his character on Gran Torino, we don’t think you’d want to mess with Eastwood, bouncer or not. 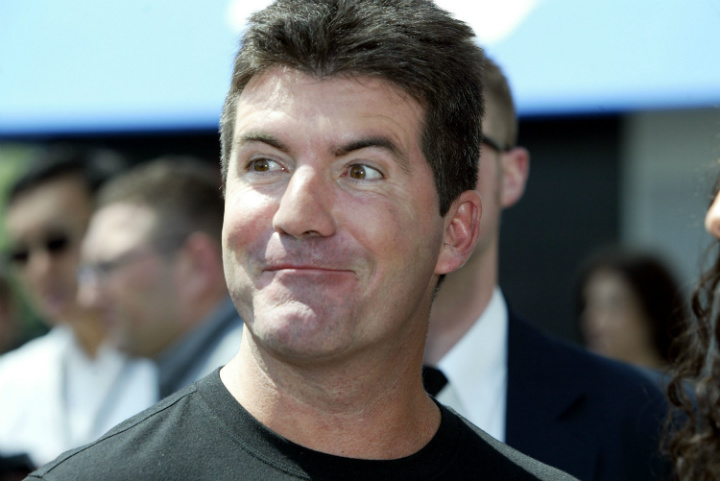 Simon Cowell, the talent manager turned tough American Idol judge, got his start working as a show runner for movies and television shows in South London. While working at Elstree Studios, Cowell got a front row seat to a movie that made horror film history. When director Stanley Kubrick began filming a movie called The Shining, Cowell helped as a runner. Part of that role included buffing Jack Nicholson’s ax for the famous “Here’s Johnny” scene of the movie. No wonder Cowell had such strong opinions on American Idol and America’s Got Talent, he started his career with an ax to grind! Award winning actress Meryl Streep may have had her first of many television interviews when she attended this historic event. 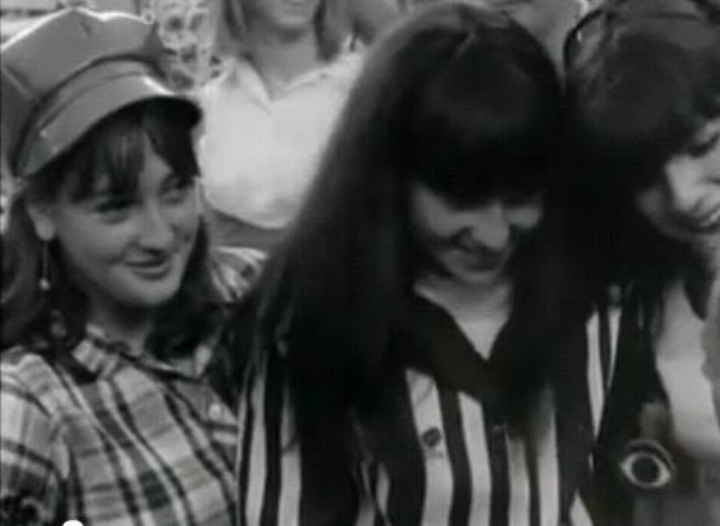 A teenage Streep is seen below speaking to CBS News just before a very special Beatles concert at New York City’s Shea Stadium. Streep witnessed history at age 17 when she saw the Beatles perform for their last tour of the United States, and the first major stadium concert. This particular concert was said to be the highlight of the 1965 tour for the foursome. Twenty five years later, Streep herself got to stand on a stage with a Beatle when she presented a Grammy Lifetime Achievement Award to Paul McCartney. 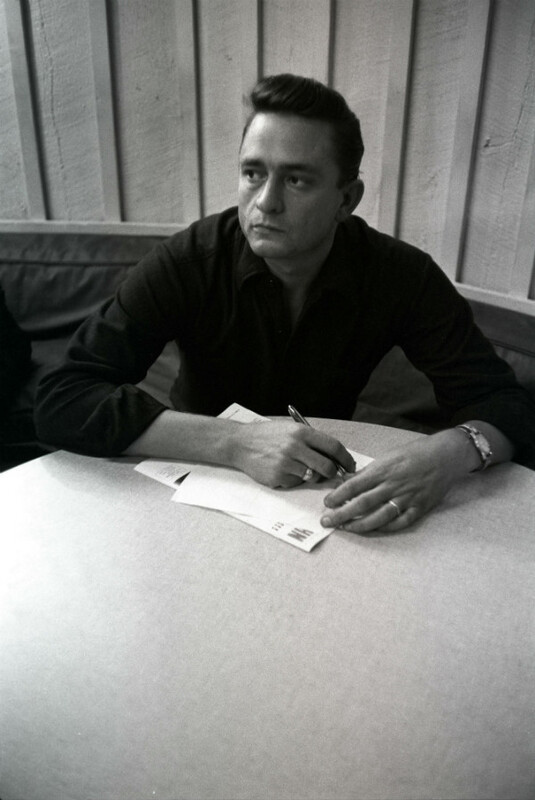 Johnny Cash is known to be a talented musician, but a lesser known fact is that Cash was also incredible at deciphering Morse Code. During his time serving in the Air Force during the Cold War, that skill helped Cash become among the first people in the world to be alerted of Soviet Leader Joseph Stalin’s death. In 1953, a young Cash was stationed in West Germany, tasked with intercepting and deciphering Soviet communications. That’s when Cash intercepted and decoded a transmission alerting Soviet leaders of Stalin’s death. He quickly worked to pass on the message, but for a few short minutes Cash was likely the first and only American to hear the news. 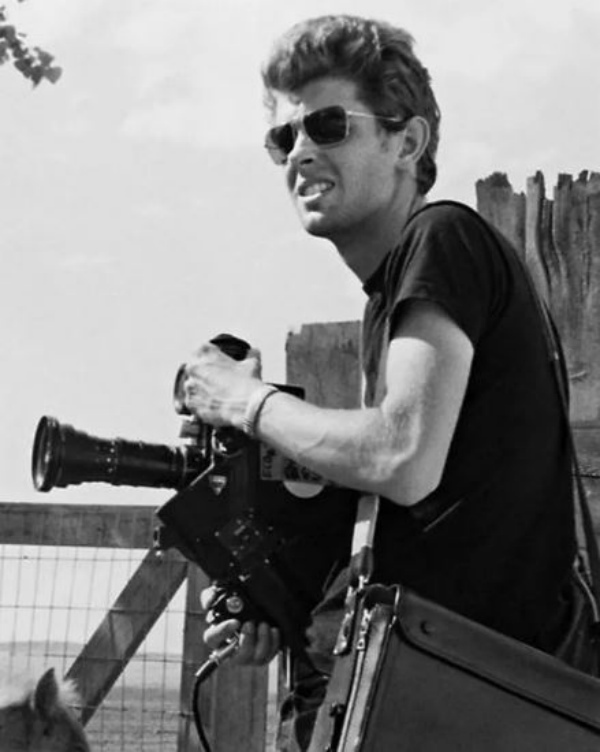 The force must have been with a young George Lucas, because when he was a film student back in 1969, he landed what he thought was the job of a lifetime. 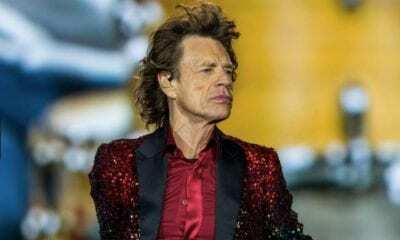 Turns out that the Star Wars director would go on to get plenty of other big breaks, but Lucas started with a gig following the Rolling Stones for the documentary Gimme Shelter. Lucas followed the Stones throughout the U.S., and finally to the famous free concert they hosted at Altamont Speedway in California. Lucas not only got to witness the legendary show, he also got to film it. Unfortunately, his camera jammed and all of his footage from that night was lost. But the memory, we’re sure, won’t be lost that easily. 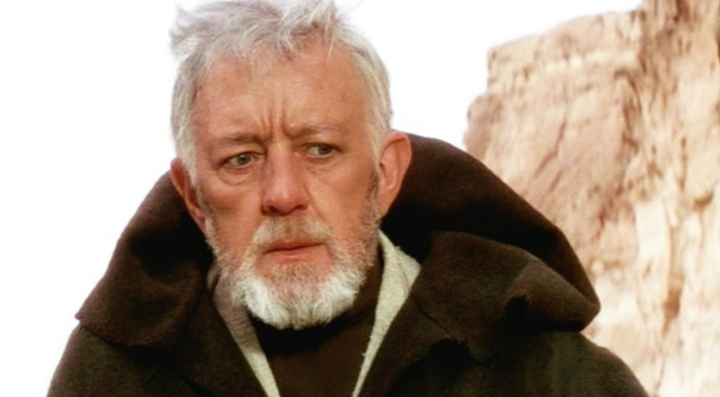 Sir Alec Guinness is known for his most iconic role as Obi-Wan Kenobi, but before there was Star Wars, Guinness fought in another type of war. Guinness was a World War II hero, and even helped command the D-Day landings in Normandy. At age 27, Guinness joined the Royal Navy and by 1942 he was an officer. In that role, he commanded craft invasions in Sicily, Elba and, of course, the famous D-Day Normandy invasion. But being a war hero didn’t stop his acting career. During his service, he was granted leave to perform in a Broadway play about the Royal Air Force. When a young Bill Paxton went to see a speech from former President John F. Kennedy, he had no idea he would be witnessing one of the most important days in American history. After begging his father to take him, they hopped into the car and drove to the Hotel Texas in Fort Worth. No one had any idea what would come next. It turns out, 8-year-old Paxton was able to see former President Kennedy speak outside of the hotel in what turned out to be the last public speech of Kennedy’s life. Paxton couldn’t find any evidence that he was at the speech until 2007, when he found a video of the crowd at a museum and spotted himself sitting on the shoulders of a man he had met that morning. In legendary actor Sir Michael Caine’s first big role, he played a British soldier in the war movie A Hill in Korea. The role wasn’t a huge stretch for the actor, considering that he himself fought on the front lines in the Korean War. 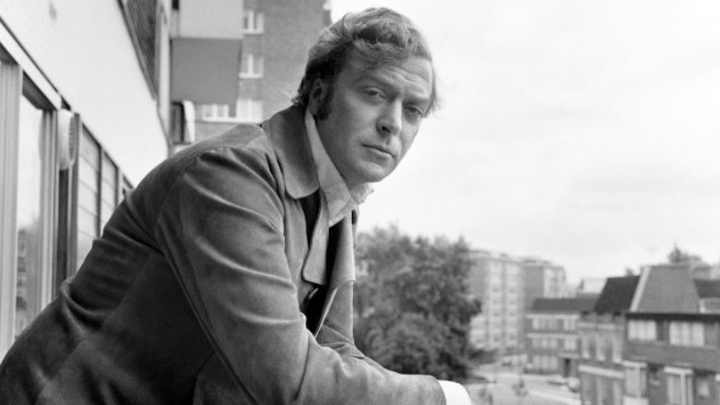 In 1952, Caine was deployed to South Korea as a member of the British Army. It was there that he experienced extensive combat and dangerous nighttime patrols. He later described a moment when he was “nearly killed” in combat, and said that the brush with death changed his life and taught him to face his fears. Actors George Takei is one of the most recognized Japanese-American actors in the United States and has propelled himself to intergalactic stardom. But his early years were painted by an experience that would shape history, and would also shape his views on politics and advocacy. During World War II, a five-year-old Takei and his family were among many of the Japanese-Americans who were placed in internment camps during the Second World War. His family was released when he was eight years old, but the experience shaped his world outlook. Since, he’s been an outspoken advocate for the rights of immigrants. 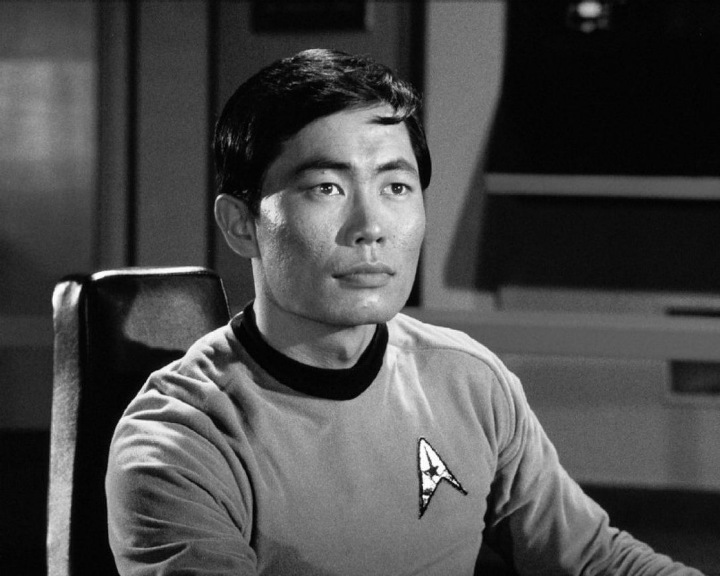 Beyond George Takei, another cast member in Star Trek has also witnessed history himself. 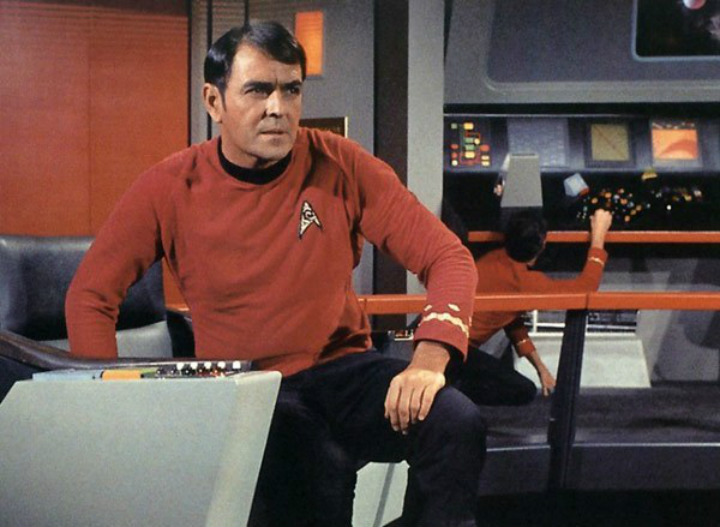 Actor James Doohan, who rose to stardom as Scotty on the television series, actively participated and stormed the beaches of Normandy during D-Day in World War II as a member of the Canadian infantry. It was then that he experienced a brush with death. That night, Doohan was hit by friendly fire on his way back to his post. The accidental shot would have been fatal, if it had not been for a cigarette case in his front pocket blocked the bullet and spared his life. The actor went on to joke later that smoking had saved him. Hedy LaMarr was a striking young actress with an even more striking mind as an inventor. And you may not realize it yet, but her legacy lives on today. 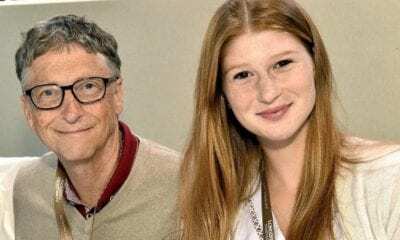 You probably wouldn’t be able to even read this article without the help of one of her inventions! 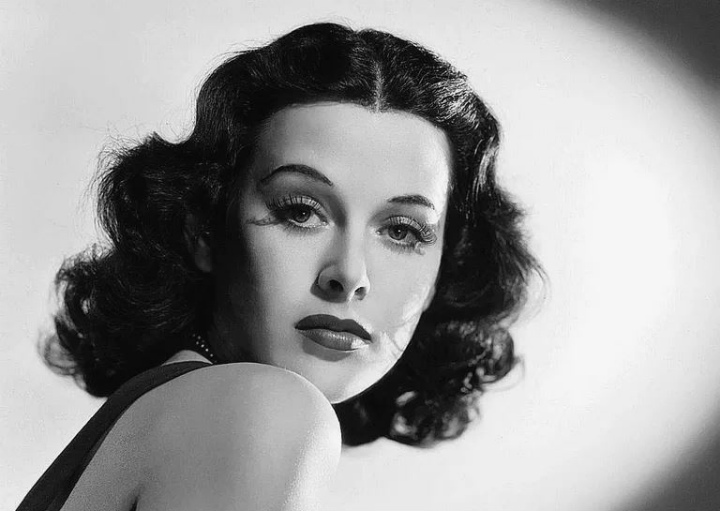 Hedy LaMarr invented a signal that could not be jammed, that was originally meant to be a technology that blocked torpedoes during World War II. She patented the technology, and later it led to the creation of WiFi, GPS and Bluetooth that is used by billions today. LaMarr didn’t just connect with audiences, she helped millions connect with each other. In the game show Wheel of Fortune, host Pat Sajak does his part by helping contestants spin the famous wheel for unbelievable prizes. Back during the Vietnam war, Sajak witnessed history first hand, doing his part by spinning records for the American Forces Vietnam Record as a DJ. Sajak originally joined the Army as a typist, but he was soon assigned the role of Army DJ. As the American military presence in Vietnam grew, so did the radio’s presence. 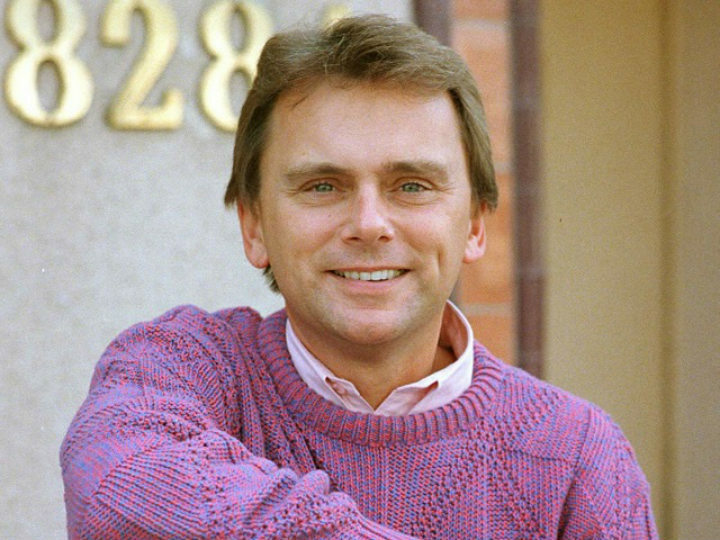 It was on this radio station that the slogan “Good Morning, Vietnam” began, and Sajak later shared that he even got to say the slogan on the radio himself. When reporting on the 1963 March on Washington, surprisingly many newspapers left out any mention of Martin Luther King Jr.’s famous “I Have A Dream” speech. But actors like Marlon Brando didn’t need any reports on the historic speech, he was able to see it in person. Beyond the civil rights icons, around 50 actors and performers attended the march to show their support for the cause. 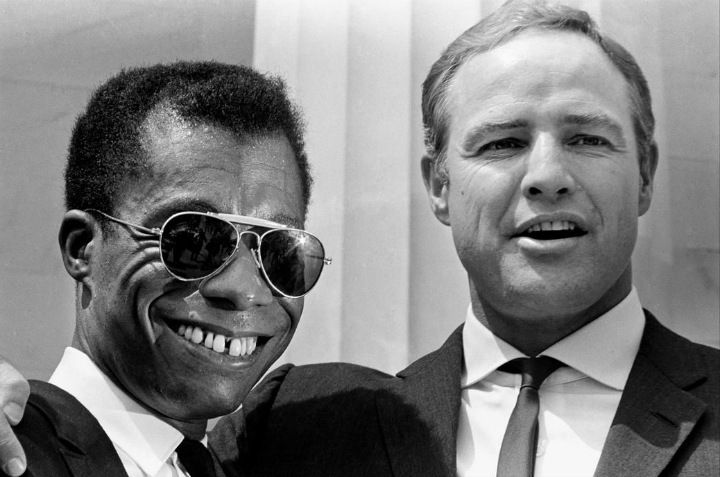 Brando was joined by Sammy Davis Jr., Charlton Heston, Paul Newman, Sidney Poitier and others. Along with 250,000 others in the audience, Brando got to witness one of the largest political rallies for human rights in American history. Yogi Berra may be just as famous for his Baseball-Hall-Of-Fame-worthy catching as he is for his iconic and hilarious quotes. 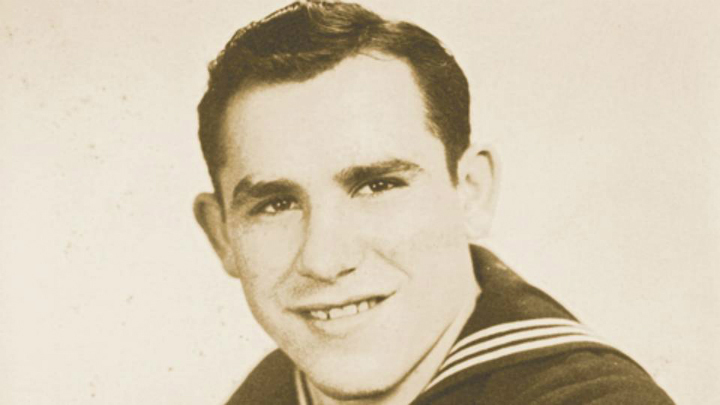 At age 18, Berra put a hold on his baseball career and enlisted in the Navy. It was in the Navy that he got to witness one of the most famous battles in history. During the Normandy Invasion, commonly known as D-Day, in World War II, Berra worked on a rocket launching boat. His job was to fire onto the beach at defense forces. His ship ended up staying on the shore for nearly 2 weeks completing its mission. Years later, he went on to make history of his own playing baseball. 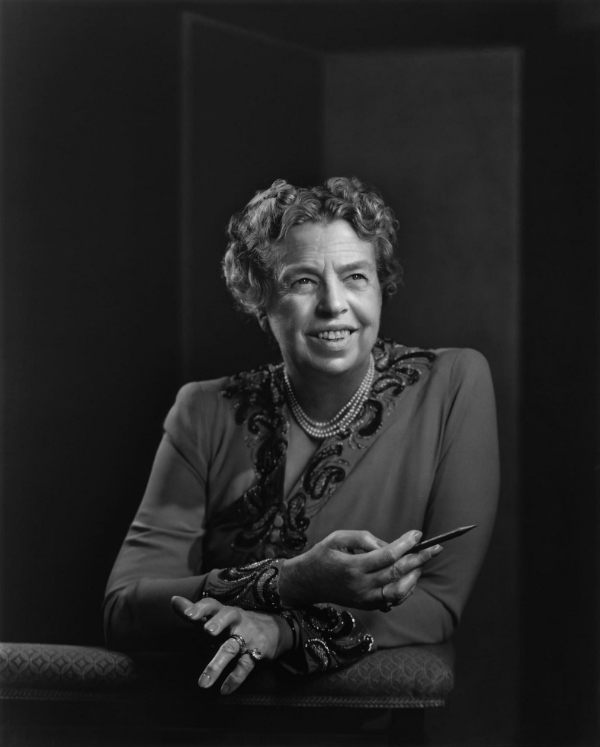 Before former First Lady of the United States, Eleanor Roosevelt, set sail in the political world, she set sail on the HMHS Britannic. When she boarded the ship, she had no idea she would be a witness to a historic event. In 1887, her boat trip was cut short when the Britannic, on its way from New York City to Liverpool, collided with the Celtic. Roosevelt was one of the youngest aboard the ship, and luckily secured a lifeboat to safety. The experience stuck with her, and rumor has it that she held onto her fear of ships and boats for the rest of her life. 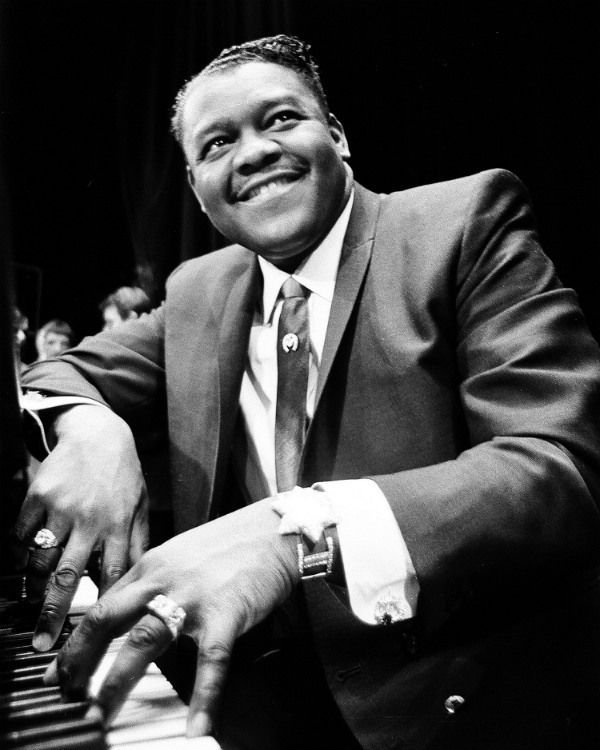 Fats Domino is known as one of the pioneers of rock and roll music. Throughout his career, Domino often referred to his love for his hometown, New Orleans, Louisiana. It was in that very city that Domino witnessed history when he experienced Hurricane Katrina. Despite evacuation orders, Domino decided to stay behind in his beloved NOLA to ride out the storm with his wife Rosemary, who was sick at the time. When his home flooded, the Coast Guard was able to rescue Domino and his wife. A year later, President George W. Bush presented Domino with a National Medal of Arts to replace the one he had lost in the storm. 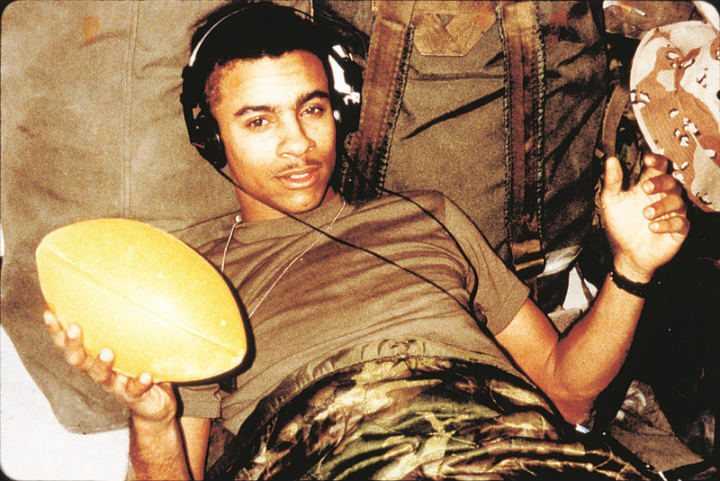 A rocky relationship with his mother at the end of his high school years led musician Orville Richard Burrell, aka Shaggy, to join the Marines in 1988. And from that role, Shaggy went on to witness history in the making. In 1991, the Jamaican-born singer was sent to Saudi Arabia during the Gulf War. 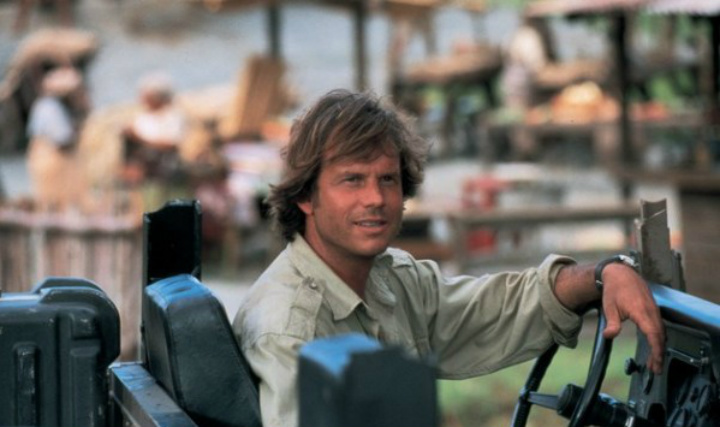 Shaggy operated a Humvee and operated cannons during the Gulf War, famously known as Operation Desert Storm. Apparently, the future worldwide reggae sensation had a poor attendance record. According to the “It Wasn’t Me“ hitmaker, he couldn’t resist driving back to Brooklyn now-and-then for reggae nights. 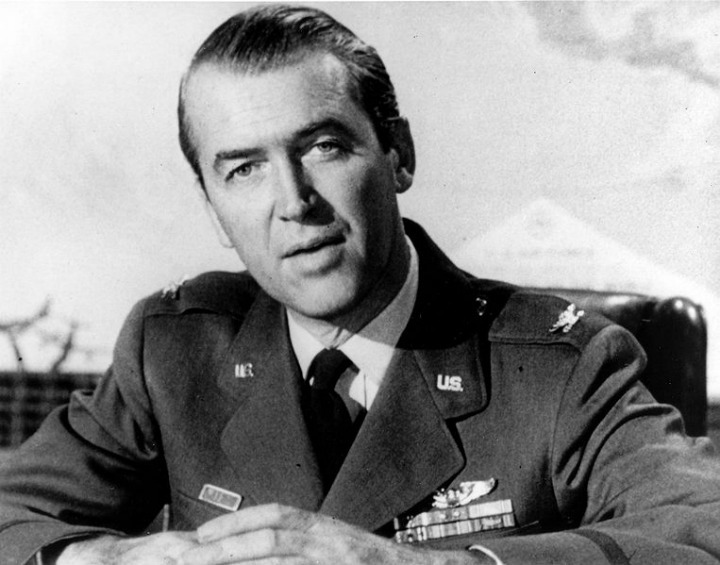 Just two years before starring in It’s a Wonderful Life, actor Jimmy Stewart was on the front lines of history as a member of the Air Force during World War II. While many of his World War II colleagues on this list enlisted before they reached fame, Stewart was different. Stewart was already known for his role in Mr. Smith Goes to Washington by the time he enrolled in the Air Force. In fact, he originally wasn’t accepted into the Air Force, as he was considered underweight. He changed his diet and eventually enlisted. When he finished his war duties, he returned to acting and picked up right where he left off.